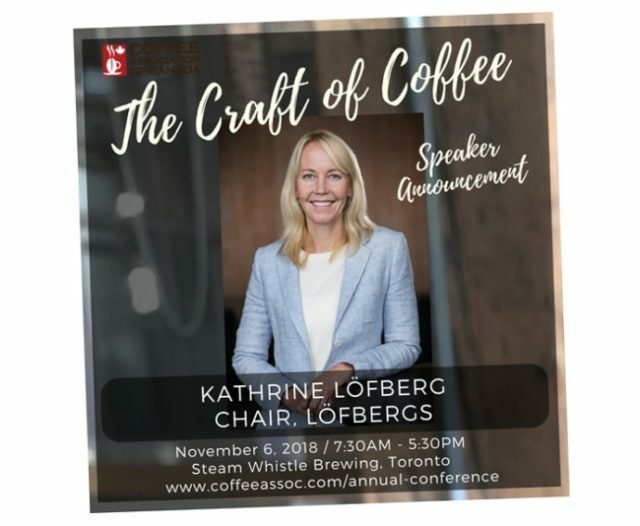 TORONTO, Canada — November 6, the Coffee Association of Canada arrange their annual conference in Toronto. This year the theme is “Craft of Coffee”. Kathrine Löfberg, chair at the Swedish coffee roaster Löfbergs is specially invited to speak about Löfbergs and the passion for good, sustainable coffee. The Coffee Association of Canada is a non-profit trade organization. Members include coffee roasters, retailers, importers and suppliers, as well as related associations.